Shake Shack is headed for the Short North. The insanely popular burger chain will be setting up shop at 750 N. High St in the upcoming Graduate Hotel. This will be the second Shake Shack coming to the area. The first, located at Easton, was announced last year and is set to open sometime in 2019. Shake Shack started as a hot dog cart in Madison Square Park (NYC). The cart was a huge success, drawing crowds daily for three summers. In 2004, the cart became a permanent kiosk and Shake Shack was born. They’ve now expanded to 200 locations, serving up burgers, hot dogs, frozen custard, shakes, beer, wine, and more. As we shared last year, The Graduate Hotel is a 171-room boutique hotel, will also feature a coffee shop, Poindexter Coffee. 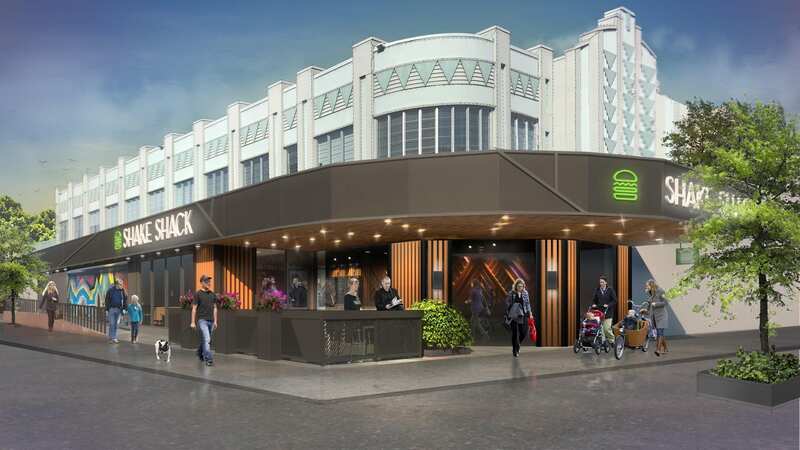 The hotel is opening in the fall, so we can all keep our fingers crossed that Shake Shack will open around then as well. I’m pretty sure that having a Shake Shack in close proximity to my home is going to be pretty bad for my health, but I’m also pretty sure that I don’t care. I can’t wait! To learn more about the iconic burger chain, you can visit their website here.